The are lots of great single malts bottled under other labels - many from long lost distilleries with only the most tenuous link to the named distillery, if any at all! 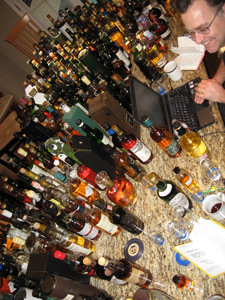 Some are tongue-in-cheek constructions created because the distillery insisted (legally) that they not be identified (see Leapfrog and Tactical). Since I've found I sometimes have a heck of a time remembering which is which I've created this compilation to help me keep these alternative names straight. 3. I don't have a clue and am grasping at straws. UPDATE! Due to popular demand we've updated the Malt Alias List for the first time in probably 5 or 6 years. Unsure if the drams in the Alias List marked with yellow in both columns really need to be moved to the "Favorite Children" List below - Please Help! Adelphi Breath of the Isles 1992, 13 yo, 52.6% ??? Adelphi Breath of the Highlands 1985, Cask 1065, 20 yo, 54.8% ??? Adelphi Breath of Speyside 1991, Sherry Butt4229, 16 yo, 57.9% ??? G&M Secret Stills 6.1 1988 Highland, 19 yo, 45% ??? MacLeod's "As We Get It" Highland 8 yo, 57.2% ??? MacLeod's "As We Get It" Islay, 8 yo, 58% ??? MacLeod's Highland, 8 yo, 40% ??? MacLeod's Islay, 8 yo, 40% ??? MacLeod's Island, 8 yo, 40% ??? MacLeod's Speyside, 8 yo, 40% ??? Michael Couvreur "Pale Single" 12 yo, ??? Signatory Vintage Islay Laphroaig 5 yo? 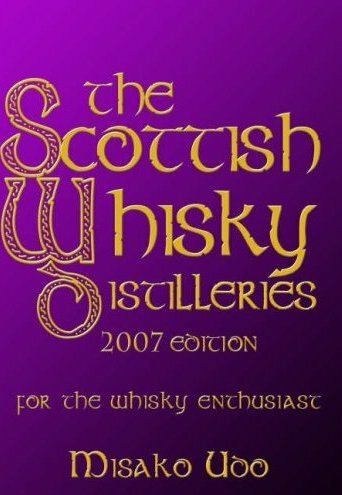 This is THE book for the uber whisky geek... trust me - I'm the Doctor! I also added the range of post-opening Ardbeg bottles even though most will probably know them by heart. I just like thinking about everything Ardbeg! You folks rock in serious PLOWED style! The next list is what we call the "Favorite Children" - whiskys so precious the distilleries actually name them and often provide all the history / provenance / mythology needed to turn them into cult obsessions. One of the reasons I love malt whisky so much. This sublist was suggested by a visitor who correctly chided me for including "non-alias" drams in the Alias List. Yep, I was lazy and PLOWED. most often refer to them by their given names. Ardbeg apparently thinks MOST of its offspring are prodigies! since they represent very different house styles than their parent distillery. We'll argue that one over drams another day!